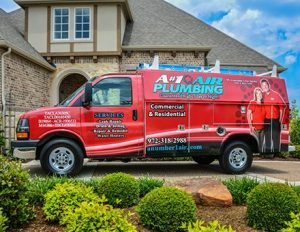 A#1 Air needed solid and consistent fleet management support from its third-party suppliers as a small to medium-sized business — especially as the company and fleet continue to grow. Ken Kapson, A#1 Air’s fleet, building, and IT manager, wears a lot of hats, so having trust in data provided through telematics is key to keep dispatch running efficiently, company vehicles well-maintained, and keep drivers safe and accidents low. A#1 Air had been using a GPS fleet tracking provider, but there was a serious lack of functionality. Mr. Kapson needed a GPS tracking system that served more like an assistant fleet manager; it needed to closely monitor the fleet at all times, be able to extrapolate trends and data, and provide flexibility for the needs of an HVAC company. “When my representative came out to help put these units in, he was here in the middle of January when it was 12 degrees helping me install them” Mr. Kapson says, adding that it’s the kind of support he needs and looks for from suppliers. Service is such an important feature to A#1 Air since as a service-based company it’s what helps the company grow. If a customer calls for an update, he can pinpoint the exact location of the dispatched employee. break down, per service visit that could be anywhere from $500-$2,500 the company is missing out on. “We lose money every time that vehicle is not moving,” he says. 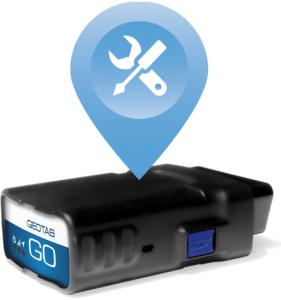 With Geotab, Mr. Kapson is able to track maintenance troubleshooting, get reminders on scheduled oil change intervals, and other important data for a good preventive maintenance regimen. “Maintenance costs have definitely reduced now that we’re monitoring our trucks,” he says, citing a few recent incidents where he received some check engine notifications and immediately got the truck into the shop. “If we had let those problems go out longer, it could have blown out the exhaust manifold” he says, thereby resulting in longer vehicle downtime and a more expensive repair.